Frankenstein Day is celebrated on author Mary Shelley's birthday, August 30th. In Enslow's new graphic novel version of Shelley's book, Frankenstein, Author Sergio A. Sierra and illustrator Meritxell Ribas reanimate Mary Shelley’s classic tale. Traumatized by the death of his mother, young Victor Frankenstein vows to discover the secrets of life and death. He assembles a monster from parts of corpses and uses electricity to bring it to life. Horrified by what he has done, Frankenstein abandons the creature, who is met by fear, rejection, and violence wherever he goes. He learns to loathe himself and his creator and sets out to destroy everyone Frankenstein loves. Our graphic novel, Frankenstein by Mary Shelley: A Graphic Novel includes safe 'PG' text and illustrations. Celebrate Frankenstein Day by watching the classic movie or enjoy this famous monster comes alive clip! Enslow Publishers' Fall 2012 catalog is available! The printed edition is being delivered to schools, public libraries, and commercial accounts now. If you want to see the catalog immediately, you can access an electronic version of it at www.enslow.com. We're excited about our Fall 2012 catalog, as it represents a new direction for Enslow Publishers. Thanks to strong interest in the Common Core, we've organized our catalog by four major curricular areas: language arts, math, science, and social studies. Many books also include key reading level information, such as Guided Reading Levels. Importantly, we provide a path to find Common Core correlation details for many titles in the catalog. You'll discover that our books offer a wealth of correlations across multiple grade levels. Enslow's strong editorial quality also assures you that each book will deliver the rich informational text Common Core and state requirements demand. In short, they're the right, age-appropriate content for these times. We believe Enslow's new Common Core catalog for Fall 2012, with 13 new series, offers outstanding collection value. Order now to have these new books in time for your library or classroom needs! Enslow has just released a new series American Space Missions–Astronauts, Exploration, and Discovery, which includes Walking on the Moon. This title is all about that famous trip on Apollo 11 that landed Neil Armstrong, Buzz Aldrin, and Michael Collins on the moon --- the first time any human being had done so. Did you know that Neil's line, "That's one small step for man, one giant leap for mankind" was actually written by him for that moment? This 48-page title details how these astronauts trained, describing how Neil Armstrong maneuvered the Eagle, which was the lunar module of Apollo 11, onto the surface of the moon, while running low on fuel. Eagle had been programmed to land on a certain spot, but Neil had to override the system because the landing area had too many boulders which would have damaged the lunar module. After performing their tasks and splashing to Earth in the ocean, these three men then had to remain quarantined for eighteen days. There was a concern that they had possibly brought alien germs back with them. This title, and the other five titles in this series, are available from your preferred vendor or from Enslow directly. Today marks the 20th anniversary of Hurricane Andrew. This is a reminder that we should be ready at all times for all types of disasters. Hurricane season is great time to talk to students about being prepared and what to expect when disasters strike. Hurricanes: The Science Behind Killer Storms is part of our six-book series The Science Behind Natural Disasters. Enslow has three series on inventors. The first one, I Like Inventors, is a new 2012 series for the elementary reader, and contains 6 books: Madam C. J. Walker created her own line of hair-care products; George Ferris invented the ferris wheel; Philo Farnsworth invented the television; Ralph Baer invented the home video game; James Naismith invented basketball; and Vivien Thomas was a doctor's assistant who invented a new surgery technique used on babies with heart problems. For the middle grade student, Genius at Work! Great Inventor Biographies has 13 titles perfect for those readers. This series features the inventors above, as well as Les Paul who created the electric guitar; Igor Sikorsky who created helicopters; W. K. Kellogg, the founder of the cereal company; Theodore Maiman who invented the laser; Samuel Colt, who invented a handgun that did not need to be reloaded; Thomas Gallaudet, who created sign language; and Stephanie Kwolek, the inventor of the bullet-resistant vest. Also for the middle grade student, Inventors Who Changed the World has 7 titles. These titles are longer in length than the other two series. Alexander Graham Bell, J. Robert Oppenheimer, Johannes Gutenberg, Louis Pasteur, Marconi and Tesla, Philo T. Farnsworth, and Thomas Edison are covered in this series. All of these titles are available directly from Enslow or your preferred vendor. Check out the Winner of our Rafflecopter Book Giveaway! Kirsten L chose the following Enslow title to receive for FREE! Watch for more back-to-school book giveaways coming in September. Looking for titles to add to your Kindergarten collection? Enslow has added two new series to its collection of preschool to grade one titles. Both of these series have been mentioned in blog entries recently. There are eight titles in the All About Community Helpers series and All About Counting in the Biomes series contains six titles. Both of these series are new for fall 2012. With the addition of these two series, Enslow now has a total of fifteen preschool series. All About American Symbols, All About Nature, and All About a Rainbow of Animals are the three series that were introduced in spring 2012. All of these titles can be ordered directly from Enslow or your preferred vendor. Also, don't forget to stock up on those crayons, pencils, paper, and other supplies! Don't forget to sign up for our monthly raffle! It's not too late to enter our August book raffle. At the beginning of September, we will pick one name from August's raffle entrants and give them $100 in free books! Enter today! All About Counting in the Biomes, a new fall 2012 series from Enslow Elementary, focuses on showing preschoolers and early readers the different types of animals and plants found in different biomes, while helping them learn to count to ten at the same time. This six-book series is available as library bound titles. Each book is 24 pages long and every title in this series was written by Aaron R. Murray. Topics covered include the desert, the forest, the grasslands, the oceans, the rain forest, and the tundra. These titles are available directly from Enslow or from your preferred vendor. American hero, Davy Crockett was born August 17, 1786. Although his brave deeds at the Alamo made him legendary, Crockett had already gained fame as a hunter, soldier, and U.S. Congressman. Authors William R. Sanford and Carl R. Green explore the life of this American hero in our new title, Davy Crockett, Courageous Hero of the Alamo. they spent one week each August with their grandparents on the lake. During this time their grandmother, whose hobby is painting, always included painting projects in their daily activities. They painted rocks and slates that are still displayed in my flower gardens today. They also created many watercolor paintings throughout the week. On the day we would go to pick them up there would be an art show waiting for us. Their masterpieces were carefully propped up around the living room for us to view. Then all of us shopped and purchased the paintings from them for small change. Tomorrow my youngest daughter leaves for college. We went to the bookstore last night to pick up a few books and magazines she wanted to take with her. She also picked up a new sketchbook and spent some time sketching late into the night. I couldn't help but wonder how much her love for creating art has been influenced by those summer art sessions with grandma. So, whether it's a sharing a drawing book, purchasing a new box of crayons, pulling out an easel, or a sketchbook, don't forget to celebrate Art Appreciation Month. You never know who you might inspire! Enslow has just published an eight book series on community helpers, geared toward the preschool and beginning reader. The role of the community helper gives the reader the opportunity to ask "who, what, when, where, and why" questions. Teachers and Nurses are two titles helpful for those first-time students, explaining what the people in those positions do, and how they interact with the student. Other titles in the series include: Dentists, EMTs, Firefighers, Nurses, Police Officers, Sanitation Workers, and Veterinarians. Years ago, my sister worked as a nanny for a family with three children. The youngest child loved going to the firehouse. It literally became an almost-daily visit. The firemen quickly learned both of their names and would greet them as they approached the building. Is this child a fireman today? No, but his fascination with the trucks, the building, and the firemen themselves kept him wanting to go back. Do you know of a child like him? Enslow's New "Constitution and US Government" Series -- Just In Time for the Elections! In the coming weeks, the presidential campaigns will be running full tilt. It's a wonderful opportunity for librarians, teachers, and family members to provide useful information about the presidency, the branches of the federal government, and the United States Constitution. Enslow Publishers' new "The Constitution and the United States Government" series provides a compact, useful resource to address these needs. This five-title series offers age-appropriate, reliable background on the various governmental branches, the principal national security agencies, and the Constitution itself. Each book is 104 pages long, features well-chosen illustrations, and includes excellent citations for further reference. All titles in "The Constitution and the United States Government" are available now from Enslow Publishers. Library-bound editions are available for $23.95; the price represents a 25% school/library discount from Enslow's list price for these items. With the ongoing drought in the nation, explaining to elementary students exactly why water is needed, and what happens when there is not enough of it, can be a challenge. Written for elementary students by Carol Greene, this 24-page title introduces students to water, explains why it is important, explains what can happen to water, and gives tips on how to protect and use less of it. Other titles in this series include: I Love Our Air; I Love Our Animals; I Love Our Forests; I Love Our Land; and I Love Our People. Back-to-School Book Giveaway Starts Today! Welcome to our Back-to-School Book Giveaway. Our new fall titles are now available and we're celebrating! Win a FREE Enslow book of your choice from our new Fall 2012 Common Core E-Catalog. Enter today! Happy Book Lovers Day! Find Out Where Enslow Employees Love to Read. Both Kristen and Karen love to read books on the beach. Nicole loves to read books in bed before she falls asleep. Dave loves to read books in his daughter's room with both little girls curled up on the bed. Pam loves to read books on the dock at the lake or on her patio. Stacey loves to read books in her bedroom or living room. Linda loves to read books in her lounge chair on the deck. Derick loves to read books anywhere and everywhere. Kurt loves to read books in the bathroom. John loves to read books in bed, while he's eating, and when he's flying. Tim loves to read books on public transportation. David loves to read books floating on a tube in the pool. So don't forget to take some time today to read a book even if you can't get to your favorite place. August 8th is the U.S. Dollar's Birthday! 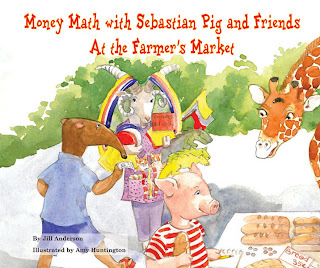 Money Math with Sebastian Pig and Friends At the Farmer's Market, for Grades 1-3, is a brightly illustrated adventure in which the reader gets to help Sebastian Pig and his friends solve simple money problems at the farmer's market. Our "I Like Money Math!" 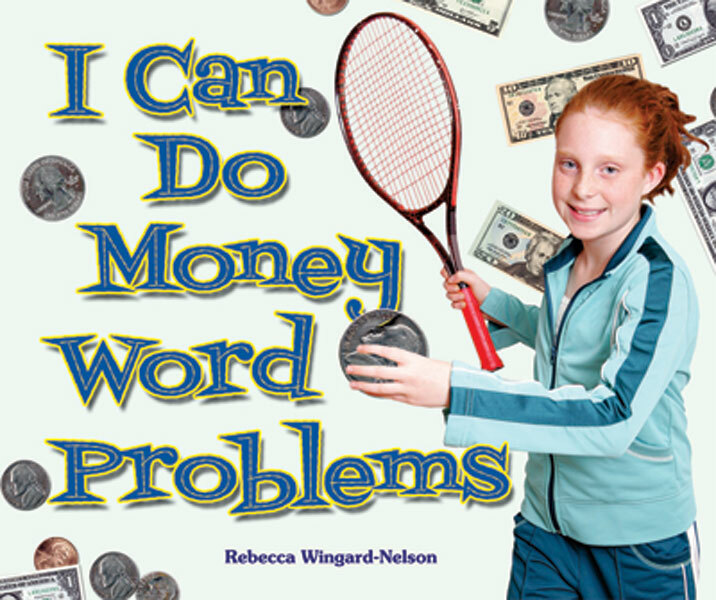 series, for Grades K-3, gets young learners used to solving every-day money math problems. 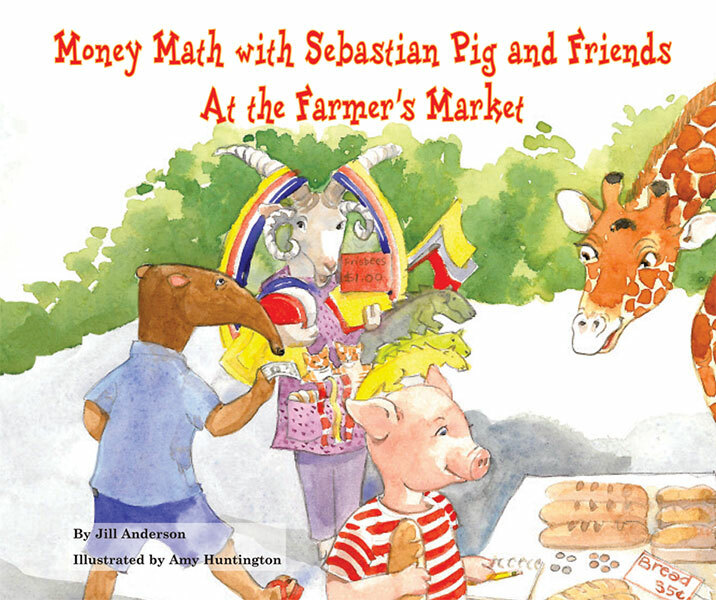 All books in the "I Like Money Math!" series have free supplemental materials, including teacher's guides and worksheets, which makes this series great for tutors and classroom use! Look for these books at your local library, www.enslow.com, or your favorite online bookseller! August 4th marks the 222nd anniversary of the U.S. Coast Guard. On this date in 1790 President George Washington signed the Tariff Act. This allowed for the construction of 10 vessels known as "cutters." The history of the Coast Guard has often reflected the growth of maritime interests at home and overseas. Many of their original duties are an essential piece of homeland and port-security duties today. As the oldest continuous maritime service, the Coast Guard once served as our country's Navy. Today, the Coast Guard provides crews and ships in support of the U.S. Navy during times of war. Algebra...Should it Stay or Should it Go? A recent article, "Is Algebra Necessary?" printed in the The New York Times caught our attention. Should we spare students from this difficult subject? Will they use what they've learned in Algebra class on their jobs? We'd love to hear your opinion. For now, Algebra in the classroom is here to stay. The basics begin in elementary school, and continue through middle school, high school, and college. If you know someone that struggles in Algebra, we recommend our Algebra I and Algebra II Smarts! and Pre-Algebra and Algebra Smarts! from our Math Smarts! series. These books include step-by-step instructions as well as examples and are ideal for students as well as tutors and parents. Free educator guides are available for all the titles in this 10-book series. Congratulations to our newest raffle winner! Arthur Jacobsen Elementary school in Auburn, WA has won our raffle of $100 in free books!